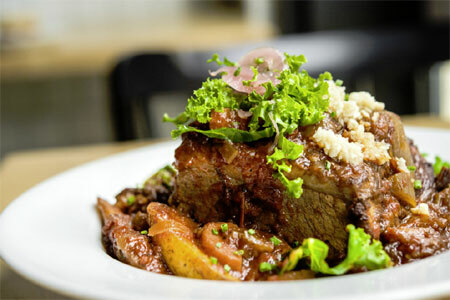 Modern Cuban cuisine in the East Village. : This Cuban eatery in the East Village has dim, warm lighting that belies the real party that transpires here. Happy diners dig into costillas (beef short ribs with guava barbecue sauce), pollo al mojo Cubano (lime-marinated grilled chicken) and escabeche (crispy mahi mahi, sweet pepper ragù and corn tortilla). The polished bar is a fine spot for sipping seven kinds of mojitos, including the Sangrito, the Caribeno and the Papa Hemingway. 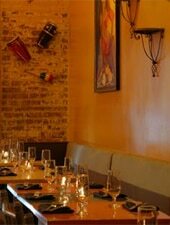 Thanks to sibling owners Gerardo Perez and Diana Perez, modern tastes enhance the traditional Cuban flavors.